In just the first week into January, an estimated 25 percent of people with a resolution abandon them. But it doesn’t have to be that way! We’re all about making the most of that new year motivation and setting new goals — you just gotta have the tips to do it right to make sure that your resolution sticks. Which is why we love these three questions from Dr. Kristen Carpenter, director of women’s behavioral health at The Ohio State University Wexner Medical Center. They’re simple, to the point and effective. 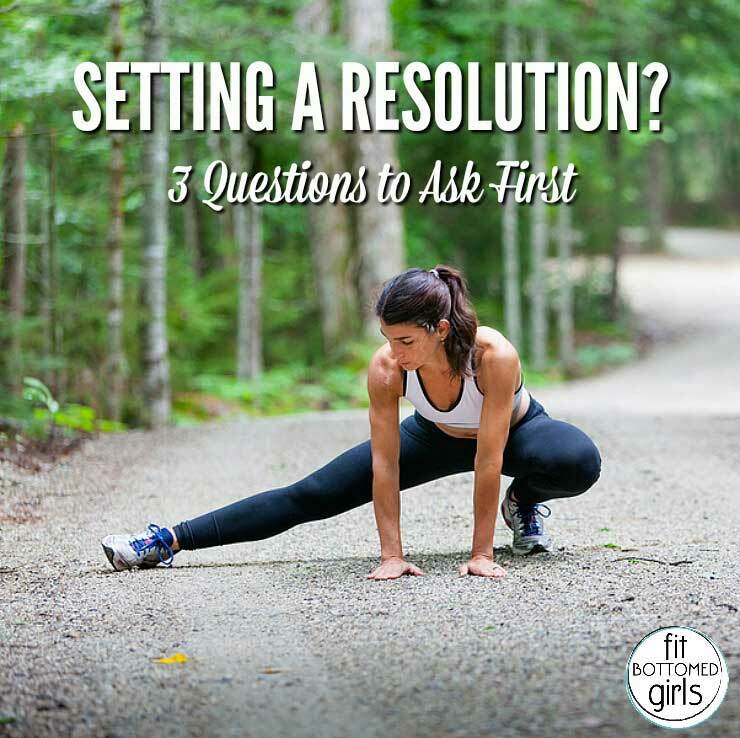 Ask them now, so that tomorrow night, when you’re with all your friends at your New Year’s Eve party and they wanna know if you’re setting a resolution, you can say YES. And know that you’re really going to do it this year. 1. Do they align with my values? Your energy and time is finite. If you’re crafting resolutions that are not in line with your values, reevaluate your list and replace them with ones that are more cohesive to your overall goals. If not, Dr. Carpenter says you are setting yourself up to fail. 2. Are my eggs in different baskets? Make sure your resolutions reflect different areas of your life. Dr. Carpenter says that it’s better to not put all your eggs in one basket. In your 20s, it’s tempting to have all of your New Year’s resolutions focus on your career. In your 30s you may focus on family life. In midlife, it’s tempting to have your resolutions focus on the home and empty nest syndrome. She says a better approach is creating resolutions that will enhance multiple areas of your life. For example, resolving to live in the moment helps achieve both career and personal goals. 3. Are there too many? Let’s be honest, even without resolutions, the holidays are a stressful time. If you already feel like you’re being spread too thin, you likely will not be able to keep multiple New Year’s resolutions. To edit your list, first rank your resolutions in order of importance and then keep only the top few. Dr. Carpenter says this gives you a better chance of meeting your goals. A few other words of wisdom from Dr. Carpenter? Be sure to set SMART goals (we have a whole article on that here!) and focus on the process rather than the outcome. She also recommends not giving up too easily — and to expect slip-ups.